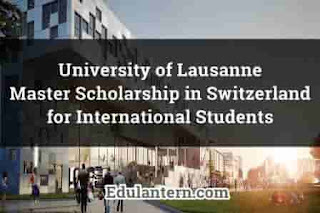 Edulantern.com - University of Lausanne offers UNIL Master Scholarship in Switzerland for International Students who have graduated from a foreign university and whose academic results are of a very high level. UNIL grants around ten scholarships a year. UNIL is currently ranked within the global top 150 of the QS World University Rankings. It has a strong international atmosphere in its faculty members, with one in three coming from outside Switzerland. UNIL Master Scholarship in Switzerland is granted for the minimum statutory period of the programme chosen by the student. It amounts to CHF 1,600 per month from 15 September to 15 July (or 10 months a year) for the complete duration of the masters (one and a half years or two years depending on the chosen masters), with the exception of cases of definitive failure after the first year. 1. Have graduated from a foreign university (outside of Switzerland) equialent to a bachelor at UNIL before the beginning of the masters programme at UNIL. 2. Have distinguished theirselves during studies, especially through particularly brilliant academic results. 3. Have a language level of at least B2 (according to the European Language Portfolio global scale) in French or English according to the language in which the chosen masters is taught. 4. Not have been registered with UNIL in the past. 5. Have paid the CHF 200.00 administration fee. 1. Application Form, duly completed and signed. 2. A passport-sized photograph inserted in the application form (in JPEG format). 3. A copy of secondary school diploma. 4. A certified copy of academic qualifications and of all the grade transcripts from all examinations taken at the university. 5. A copy of the programme description of the last semester of your bachelor degree, if the degree has not yet been obtained. 6. A complete curriculum vitae. 8. Two original letters of recommendation from the candidate's lecturers, in sealed envelopes. 9. A copy of the official certificate of knowledge of the language in which the master is taught (TOEFL or IELTS for English and DALF or DELF for French). B2 is the minimum level required to follow the course. 10. A copy of passport or identity card. 11. Proof of payment of the CHF 200.00 administration fee (application processing fee). DEADLINE: 7 Sept/2 Nov 2018. 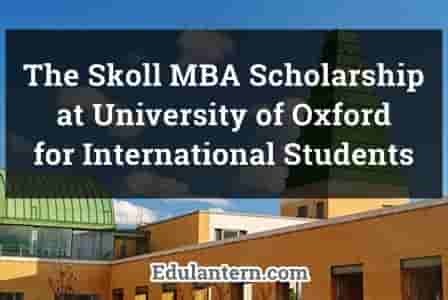 Edulantern.com - The Skoll MBA Scholarship is a competitive scholarship for internasional students who want to pursue MBA study at Saïd Business School, University of Oxford. 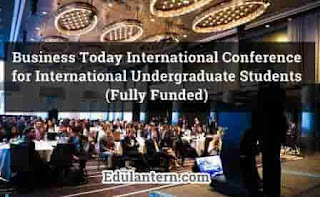 This scholarship provides funding and exclusive opportunities to meet with world-renowned leaders, entrepreneurs, and investors. It is given for those who have choosen to work in the social impact/innovation space rather than the purely commercial or public sectors. 1. Applicants can demonstrate the outcomes and impact of their entrepreneurial action. 1. Applicant can demonstrate why business education is essential in helping to develop their work/impact at this stage. To apply Skoll MBA Scholarship, applicants first need to apply and be accepted onto the Saïd Business School’s MBA programme. 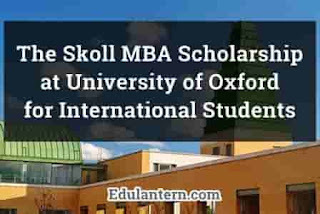 Tick the "Skoll Scholarship" box when submitting MBA application. After receiving confirmation accepted into the MBA programme, check email as the Skoll Centre will send a link to the Scholarship Online Application. The Skoll Centre will invite selected candidates to join a Skype interview. DEADLINE: May 1st, 2019 (annually). 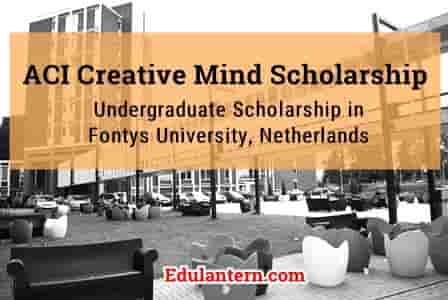 Edulantern.com - The ACI Creative Mind Scholarship is a specific scholarship from Fontys ACI (Academy for Creative Industries). With this scholarship, committee wants to support young and creative minds during their study period at ACI. This scholarship is open to students of all study years in the field of Arts and Humanities, Business Administration and Management. Fontys University of Applied Sciences (Fontys) is one of the largest Dutch universities and ranked among the best universities of applied sciences in the Netherlands. This university scores above-average results in the study fields of IT, engineering, logistics, management, and business administration. The ranking is done by the Centre of Higher Education Information and published in the Keuzegids HBO. ACI Creative Mind Scholarship amounts to € 3,000. ACI hands out three of these scholarships for each academic year. 2. Not have a degree from an education institution in the Netherlands. 3. Have to be enrolled as a regular student in one of ACI's study programmes. 4. Can demonstrate a creative mind and focus. 5. For applicants of higher study years (years 2, 3, and 4): Not have any study delay (all courses passed so far). There are no negative entries in student file. The Creative Industry has attracted your attention. Please explain about "Why and convince us that you are the perfect match for one of our creative study programmes. What does creativity actually mean to you? Who or what inspires you? What’s the Creative Industry like in your home country?" You decide in what way you’d like to convince us of your creative mind & focus. Keep it short (no longer than two minutes or one A4) and make sure that your motivation is accessible online. To apply ACI Creative Mind Scholarship, applicants should send full application file and documents required above to aciinternational@fontys.nl. Please make sure to mention "ACI Creative Mind Scholarship" in scholarship application. An assessment committee will examine all applications and decide to whom the scholarships wiil be granted. Even if applicant fulfill all application criteria, there is no guarantee that they will be awarded a scholarships as scholarships are limited in number. Edulantern.com - The University of Melbourne offers Melbourne International Undergraduate Scholarship for International Students. 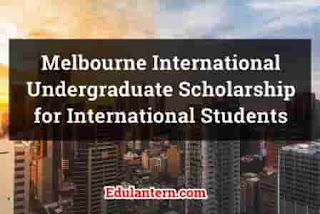 This program is awarded to high achieving international students in recognition of their excellent academic results and available for all study areas in Undergraduate Program of University of Melbourne. University of Melbourne was established in 1853, approximately 8,000 academic and professional staff support a vibrant student body of more than 48,000, including 13,000 international students from over 130 countries around the world. Around 30 scholarships with a $10,000 tuition fee remission in the first year of an undergraduate degree and around 10 scholarships with a 100% tuition fee remission for the normal full-time duration of an undergraduate degree. Also applicants who have accepted $10,000 fee remission scholarship will also be considered for a 100% fee remission scholarship. 1. Be a citizen of a country other than Australia and New Zealand and not a permanent resident of Australia. 2. Have received an uncoditional offer (LoA) for an undergraduate course. 4. Not have previously undertaken any tertiary studies (excluding extension studies completed as part of a year 12 program). Selection based on academic merit and quotas by course and region. Applicants are not required to submit an application. All eligible students who have received an undergraduate offers of admission will automatically be considered in this scholarship program. 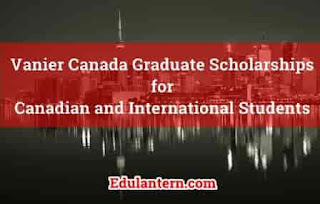 Edulantern.com - Vanier Canada Graduate Scholarships (Vanier CGS) is launched by The Government of Canada in 2008 to strengthen Canada's ability to attract and retain world-class doctoral students and establish Canada as a global centre of excellence in research and higher learning. The purpose of this program is to attract and retain world-class doctoral students by supporting students who demonstrate both leadership skills and a high standard of scholarly achievement in graduate studies in the social sciences and humanities, natural sciences and/or engineering and health. 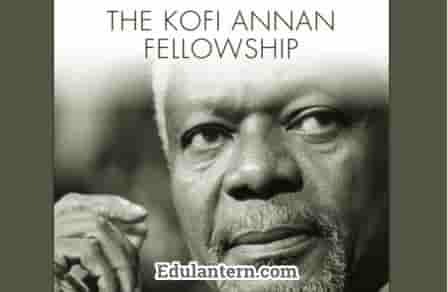 The scholarships are towards a doctoral degree (or combined MD/PhD or MA/PhD). Vanier Canada Graduate Scholarships provide up to $50,000 per year. Also up to 166 scholarships awarded annually. 1. Open to Canadian citizens, permanent residents of Canada and foreign citizens. 2. Be nominated by only one Canadian institution, which must have received a Vanier CGS quota. 3. Be pursuing at first doctoral degree, including joint undergraduate or graduate research program such as: MD/PhD, DVM/PhD, JD/PhD - if it has a demonstrated and significant research component. Only the PhD portion of a combined degree is eligible for funding. 4. Intend to pursue, in the summer semester or the academic year after announcement of results, full-time doctoral (or a joint graduate program such as: MD/PhD, DVM/PhD, JD/PhD) studies and research at the nominating institution. 5. Not have completed Doctoral Studies more than 20 months of May 1, 2019. 6. Achieved a first-class average which determined by home institution, in each of the last two years of full-time study or equivalent. Candidates are encouraged to contact the institution for its definition of a first-class average. 7. 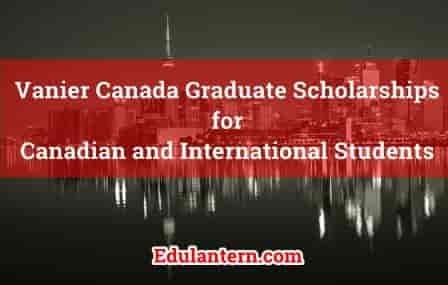 Have held or must not hold a doctoral-level scholarship or fellowship from CIHR, NSERC or SSHRC to undertake or complete a doctoral degree. To apply Vanier Canada Graduate Scholarships, candidates must be nominated by the institution at which they want to study. 2. The institution initiates the nomination process by contacting the desired candidate. Candidates must prepare applications and submitted to the nominating institution by their internal deadline using ResearchNet application system. Institution will perform internal selection process and recommend nominations to the Vanier-Banting Secretariat by October 31, 2018. Get the latest scholarship from us.